The $64,000 Question: Is Your Blog in Scope? Disclaimer: I’m not a lawyer. The information below is absolutely not legal advice. But it might just save you a ton of worry and expense. GDPR is currently taking Europe by storm. It’s the General Data Protection Regulation — a new data privacy law being introduced by the European Union — and it’s a bit of a game-changer. It comes fully into force on May 25, 2018. Yep, that looming deadline might just be lighting up your radar. It affects people across the globe, not just in Europe. And some forward-thinking folks have been working on preparing themselves for the last year or two. Well done them. Straight to the top of the class. But the truth of the matter is that many people have been just the slightest bit “mañana, mañana” about the whole thing. Now that the countdown can be measured in days, some people are getting a touch, well, panicky. It’s like that school assignment that you had a year to write. Here you are, “T-minus-one and counting,” and you’re staring at a blank page. And that’s due, in no small part, to the fact that GDPR appears complex, and there are still some gray areas. We are all struggling to interpret some of the details of the regulation. But some things are clear — so in case GDPR is entirely new to you, let’s hit the basics. There are eye-watering fines for non-compliance — up to €20 million ($24m) or 4% of global revenue, whichever is higher. So the GDPR’s scope is surprisingly wide-ranging. It could easily apply to you. It gives data regulators powers to apply unprecedented financial penalties. And crucially, it’s becoming extremely high-profile. The Facebook/Cambridge Analytica scandal alone has elevated the subject of data privacy to mainstream debate. So it’s worth spending a little time to try to understand the key principles that the GDPR is attempting to achieve. The central principles of the GDPR are not new. They expand on existing European Union data protection regulations, and most folks might generally consider them to fall into the category of “quite a good idea, really” (from the consumer perspective, at least). So let’s break them down one by one. You must process personal data in a way that is lawful, fair and transparent. The first and most obvious lawful basis for processing personal data is consent — that is, where the individual has specifically agreed (usually via one or more checkable boxes) that you may use their data in a specific way. More on consent later. The majority of the other lawful grounds will be less relevant to bloggers. They include situations where it is essential for you to process personal data to fulfill a contract with the consumer, or if you are required by law to collect specific data (such as information required for tax records). It can be lawful to process personal data without the individual’s consent if it is in your legitimate interest as a Controller to do so. Well it’s certainly not that, but it is an acknowledgement that data privacy is not absolute. There should be a balance between the individual’s right to data privacy and the controller’s legitimate interest in running their blog, business or whatever. “Legitimate interest” is most likely to be used where consent is not appropriate or feasible. Storing IP addresses in server logs for the detection and prevention of fraud. Using non-privacy-intrusive cookies (such as Google Analytics). Storing personal data in backups to allow a blog to be restored following a technical issue. These scenarios highlight that in some situations (such as preventing fraud), consumers must not be permitted to prevent processing. In others, it would simply be unworkable to try to gain consent in advance. It will typically apply where your data processing involves minimal risk or impact to the individual’s privacy, and it is of a type that the individual might reasonably expect you to undertake. Carte blanche to do whatever you fancy without consumers’ knowledge. A justification for collecting data that you know full well your consumers would not consent to. Those scenarios would not be lawful, fair or transparent. Anyone planning to rely on the “legitimate interest” lawful basis will need to familiarize themselves with the detail of the regulation because there are specific requirements, such as the need to conduct a Legitimate Interests Assessment. “Fairness” is not specifically defined in the regulation, but on any definition it overlaps significantly with lawfulness and transparency. All of the regulation guidance suggests that fair processing involves ensuring that it does not have any unjustified adverse effects on the individual, and that data is used in ways that the individual might reasonably expect, given your relationship with them. Deceiving consumers about your real identity. Attempting to hide the true purpose of your data processing behind swathes of small print or unnecessarily formal legal language. Trying to hoodwink consumers in any way into providing their data. “Transparency” is a fundamental and recurring theme throughout the regulation. You are expected to be conspicuously open and honest about what data you collect and what you propose to do with it. You must only use personal data for the specific purposes that you have declared. Closely related to the concept of transparency, this principle demands that you may not collect data for one purpose, and then go on to use it in a different way. Let’s take the example of a “Sign Up to Receive This Free Report” offer. On the face of it, the individual is providing their email address so that you can send them the report. That’s it. You cannot then add their email to your mailing list and send them other promotional material unless you’ve made it clear at the point of sign-up that that’s what you intend to do. You must collect only the minimum amount of personal data required to achieve your stated objective. This is the concept of data minimization. If you collect personal data to allow you to send blog notifications by email, then the minimum information you require is an email address. “Name” is probably fine too (for the purpose of personalizing your emails), but collecting anything else could be seen as excessive. So if, in the same scenario, you also collect cell phone number, gender and age, then you need to be very clear why that information is necessary to allow you to send blog notifications. You must take all reasonable steps to ensure that any data you collect is accurate and kept up-to-date. The risks to individuals’ data privacy are clearly increased where that data contains inaccuracies. Incorrect email addresses are a prime example of where other personal data can be inadvertently disclosed or leaked. You are therefore obliged to address data inaccuracies without delay — incorrect data must be rectified, or deleted. In practice, if someone contacts you to update their email address, you should take action on it without undue delay. But being proactive is also important — for example, if you are getting regular bounce-backs from addresses on your mailing list, then this should be telling you something. Periodically checking your list and removing bounced addresses is highly recommended. You must only hold personal data for as long as is required to achieve the stated objective. It’s central to the concept of fairness that data is not retained for any longer than required to achieve the purpose for which you collected it. Data retention also has implications for accuracy. If you’re still storing customer address data that you collected five years ago, the chances are that a significant proportion of that stale data is now inaccurate. You must process personal data in a way that ensures appropriate security. The security of the data you hold is clearly pivotal to the whole objective of the GDPR. You are responsible for ensuring that there exist appropriate technical and organizational measures to protect against unauthorized access, loss, alteration and disclosure. That said, you’re not expected to be Fort Knox. But you are expected to take steps that are proportionate to the sensitivity of the data that you collect, and the risk to the individuals concerned were the data to be lost or disclosed. Not storing consumers’ data on a portable device like a smartphone (especially if you’re the type who regularly leaves it in a cab on a Friday night). Never sharing system login details with others. Password-protecting any office files that contain personal data. Using encrypted (https) connections for your blog (while this isn’t specifically required by the GDPR, it’s an all-around good idea). That’s obviously not an exhaustive list, but you get the point. All of the specific requirements contained within the GDPR are based upon these six principles. By keeping these principles in mind, you should never deviate too far away from what the GDPR expects from you, even if you’re not an expert in the details of the regulation. The problem is, there’s a certain amount of GDPR misinformation doing the rounds too. GDPR is new, and there’s a huge amount of speculation about how it will be applied in practice. So let’s deal with some of the emerging myths. Don’t be fooled. That’s not the point. The regulation protects consumers within the EU, regardless of where in the world the person who collects their data is based. Anyone who starts a blog and makes it available to consumers within any of the EU Member States is potentially affected. There are subtly different rules for controllers outside the EU, but regardless of whether you operate out of London, Milan or New York, GDPR needs to be on your radar. At the very least, you will need to take an informed position on the subject, and that means having a plan. A Data Controller is the person responsible for “determining the purpose” of processing. And it can be anybody — an individual or a business. Long story short, if you are the person who decides to collect the data, or decides what data is collected and why, then you are a Data Controller — regardless of whether you are operating as a business in the normal sense of the word. Bloggers. Micro-businesses. Non-profits. Charities. Hobbyists. I’ll get into why I say “potentially” later. I’ve seen this one doing the rounds a lot, and it’s based on a very lazy interpretation of the rules. If you process personal data and have fewer than 250 employees, you may have an exemption from one very specific administrative reporting requirement. It is absolutely not a general exemption. GDPR can apply if you have no employees at all. As a blogger, you might feel that you’re not in the habit of collecting people’s personal data. From there, it’s a very short walk to convincing yourself that GDPR is not your concern. But think again — there are a number of very common blogging activities that can put you in the GDPR firing line. Without doubt, this is the clearest scenario in which the GDPR can apply to bloggers. Sure as eggs is eggs, names and email addresses are personal data. If you invite people to give you this information — such as on a mailing list sign-up or via an online contact form — then you have a responsibility for that data. As we’ll see later, this doesn’t of itself guarantee that the full force of the GDPR will apply, but it does mean that you are potentially affected. Don’t misunderstand me, I’m a big fan of WordPress. One of its biggest selling points is just how much it does for you straight out of the box. But that can be a double-edged sword — would you know if WordPress was collecting/processing personal data in the background? With blog commenting enabled, WordPress will by default require all commenters to submit their names and email addresses before they can comment. This is personal data. WordPress will set web cookies for anyone who logs into your site or submits a comment. The GDPR specifically states that cookies are potentially personal data. All plugins that you install on your WordPress site give you additional functionality (that’s why you use them) — and every one of those plugins has the potential to collect personal data. Use the Facebook pixel for tracking page views and conversions? Track who opens your MailChimp or AWeber campaign emails? Use Google Analytics to understand web traffic? Each of these, to one extent or another, involves profiling the behavior of identifiable individuals, and is potentially within the GDPR’s remit. It’s extremely common practice for your web server to record, in its server logs, the IP addresses of anyone who visits your blog. Now there’s nothing the matter with that, because it can actually help to protect against malicious attacks and unauthorized access. But IP addresses are personal data as far as the GDPR is concerned. So, while you might not consider yourself to be actively collecting personal data, there’s a very good chance that, in reality, you are. We’ve already seen that the core factor in determining whether the GDPR applies to you is whether or not you process personal data. It what the GDPR calls the “material scope” of the regulation. But that’s not the only consideration. We also need to consider what the GDPR calls “territorial scope” — and it’s this territorial scope that might allow some bloggers to dodge the GDPR bullet. Territorial scope is EU-speak for the geographic limitation of the GDPR. We’ve already touched on this in our first dangerous myth above. The regulation protects the interests of consumers within the EU — regardless of whether the individual/business that collects their data is based in the EU or not. So the real question is not where you are based — rather it is where your intended consumers are based. A US-based blog can be caught within the scope of the GDPR if it in any way targets consumers in the EU. But to be clear, if you can legitimately argue that your blog falls outside the territorial scope of the GDPR, the regulation will not apply to you — and none of the requirements, responsibilities or fines apply. Some folks will, understandably, see this as a GDPR get out of jail free card. Data Controllers in the EU are within the territorial scope, and the GDPR applies. Data Controllers outside the EU are subject to the GDPR rules if they “offer goods and services” to individuals within the EU. This distinction will be crucial for many bloggers. It introduces the concept of your intended target audience. If your blog is genuinely targeted at a non-EU audience and you don’t, in reality, process the data of EU consumers, then you have a potential exemption from the entirety of the GDPR. But it’s important to understand that this is a gray area. If you blog about childcare in San Francisco, then I’d argue that you’re on pretty solid ground. It doesn’t have any obvious relevance to EU consumers, and it would seem fair to argue that you don’t “envisage offering a service” to them. On the other hand, blog on a subject that’s not limited by location (such as the cool new features on the iPhone X), and that argument might not fly. Your content is just as relevant to EU consumers as it is to anyone else, and you probably have no real intention of limiting your readership. So it’s going to depend very much on the nature of your blog. While there is no definition of what constitutes a “service,” it is highly likely that blogging will count as one (the UK data regulator has strongly implied to us that blogging is clearly an information “service”). Just because you have a blog that can be accessed from the EU does not necessarily mean that you intend to offer your services in the Union. Some specific factors will strongly imply that you do intend to offer your services in the EU — such as offering payments in a European currency, having localized domain names (such as .eu or .co.uk), or offering local phone number options. Importantly, if in reality you DO process the personal data of EU consumers (let’s say by having people with .co.uk email addresses on your email list), then it’s hard to argue that you don’t envisage offering a service to them. Because you’re already actually doing it. Coming to a conclusion about whether your blog falls within the scope of the GDPR is something that only you can do. It will depend on the exact nature of your blog, the data you capture, and your target audience. And there are areas that are not perfectly clear-cut when you apply them to blogging. Just keep in mind that it’s human nature to try to shoehorn your own blog into one of the limited exemptions to the rules. If you offer a service to consumers in the EU and, by so doing, process information that qualifies as “personal data,” then, at face value, the GDPR will apply. If you’re in any doubt, the wise approach is to have a plan to tackle it. Let’s assume that the GDPR applies to you and your blog. Strikes me that people are going to take one of three approaches that extend beyond simply pretending it’s not happening. Ignoring it would be bad. It needs to be on your radar. But depending on your approach to risk, you might well choose the “wait and see” method. Day 1 GDPR compliance would be awesome — but pragmatically, it can take time, effort and potentially expense. And realistically, you are unlikely to come to the attention of the data regulators unless you actually experience a data breach or someone chooses to make a complaint against you. So why not just wait for the dust to settle and see what everyone else does? You buy yourself some time. Provided you keep your ear to the ground, you’ll get to see how the regulators approach enforcing the rules in practice. The specifics of how to be compliant can only get clearer over time — so you can possibly avoid going down a variety of rabbit holes in the meantime. This is undeniably a higher risk option. You will technically be non-compliant on Day 1 (albeit along with much of the rest of the world). Technically, you could be fined in the event of a data breach, such as your WordPress site being hacked. Depending on your brand visibility, your reputation is at risk if you’re simply unprepared for things like individuals’ requests for access to data — and that might bring you to the attention of the regulators. Regulators are likely to have little sympathy for people who have made no apparent effort to comply. It’s hard for me to wholeheartedly advocate the “wait and see” approach — because it feels reactive, and maybe I’m a bit risk-averse. But there is arguably a place for it if you understand and accept the risks. That said, some of the risks can be mitigated, which leads me to the second approach. While full GDPR compliance is going to be complex for some, there’s likely to be some low-hanging fruit to be had. Not only will it start you off on a path toward full compliance, you’re also demonstrating a commitment to data privacy — and you might be surprised how much you’re already doing. Significantly lower risk than doing nothing. Relatively low effort, time and cost. Simply reviewing your privacy risks will put you in greater control. It promotes a data privacy mindset that will inform your future decisions. Practically, you are even less likely to attract the attention of regulators. Quick wins alone are unlikely to make your blog fully compliant. You will need to commit some time and effort to evaluate your risks and liabilities. My guess is that “showing willingness” will be where many bloggers and small businesses will be when the GDPR comes into force. In an ideal world, full GDPR compliance from Day 1 is clearly the place to be. It minimizes risk and — to those who know what to look for — demonstrates your credibility and professionalism. For simple blogs and small online businesses, full compliance might be perfectly achievable, because simplicity is your friend. All privacy risks will be closely managed. You won’t be caught off-guard in the event of a personal data inquiry or, worse, a complaint. All other things being equal, you get to sleep at night. Will require time and effort to understand the full requirements of the GDPR. May involve cost to bring processes and technology into line. The actual GDPR regulation itself is a horribly impenetrable document. And they wonder why people don’t read it. Unless you’re a lawyer, you’ll likely come away from it feeling just a little overwhelmed. But if you can master the concepts and the six core principles, you’ll see that there are a number of discrete, tangible things that you can do toward compliance. And some of them are pretty pain-free. Spend 30 minutes just brainstorming and documenting the types of personal data that you collect. Then you’ll begin to understand where your actual liabilities are. The information you actually ask people for, in particular names and emails via contact forms and blog subscriptions. Only when you’ve identified how you collect data can you start to address whether you need to take further action. Outline what types of data you collect and specifically how you intend to use it — including who that data might be shared with. Detail what types of cookies are used on your blog. Describe what steps you take to ensure that the data is secure. Highlight exactly what individuals are consenting to, how they provide consent and, importantly, how they may withdraw their consent in the future. Explain the rights that individuals have over their data (the GDPR gives individuals a range of new rights, including the rights to access and the data and the “right to be forgotten”). You need to stick to it. And make sure that anyone else working on your behalf sticks to it, too. Your GDPR protection is only as strong as its weakest link. A lot of people who talk about GDPR seem to think that consent is the silver bullet for all GDPR problems. Consent is just one of six lawful grounds for collecting personal data under the GDPR, and it won’t always be the most appropriate one to rely on. That said, it IS important. Where consumers are volunteering personal information (such as online contact forms and blog sign-ups) you must ask for their specific consent if there is no other legal ground for processing that data. This will usually mean having one or more checkable “consent” boxes on all sign-up forms. People must be able to tell what they’re consenting to — vague and generalized statements about what you intend to do with the data will not cut it. (The days of “we collect data to improve your experience” are gone!). Consent must be given as an “affirmative action” — so it is not acceptable to use a pre-checked consent box. Any consent checkbox must be unchecked by default (Some email providers like MailChimp make this easy with built-in GDPR features). You must only use the information gained via consent for the reasons you gave when consent was given. You should always take advantage of the “double opt-in” options that are found within campaign management tools like MailChimp. Double opt-in requires the individual to confirm their initial request before their data is added to your mailing list. It will also usually give you a means of demonstrating when consent was given. Data minimization is the way to go. Do you really need someone’s cell phone number to send them blog updates? The more data you collect, the more data you’re responsible for. If you can’t justify why you’re asking for a particular piece of data, don’t ask for it. One of the core objectives of the GDPR is to keep personal data secure. Never sharing your blog’s login credentials with anyone else. Removing the default “admin” user account on WordPress blogs. Using a reputable security plugin to prevent unauthorised access. Physically protecting data stored on removable storage such as USB sticks and external hard drives. You are most likely using some form of third-party web hosting for your blog — either shared hosting or maybe VPS. By providing the servers that your blog runs on, that 3rd party hosting company becomes a “Data Processor” in GDPR terms — because they are processing data on your behalf. You are effectively subcontracting the technical hosting activities to them. As a result, they have access to any personal data that is stored on your blog — and they are therefore quite capable of being the weak link in the chain. A reputable web host will be only too happy to talk to you about the security processes that they have in place, their security accreditations, and so on. 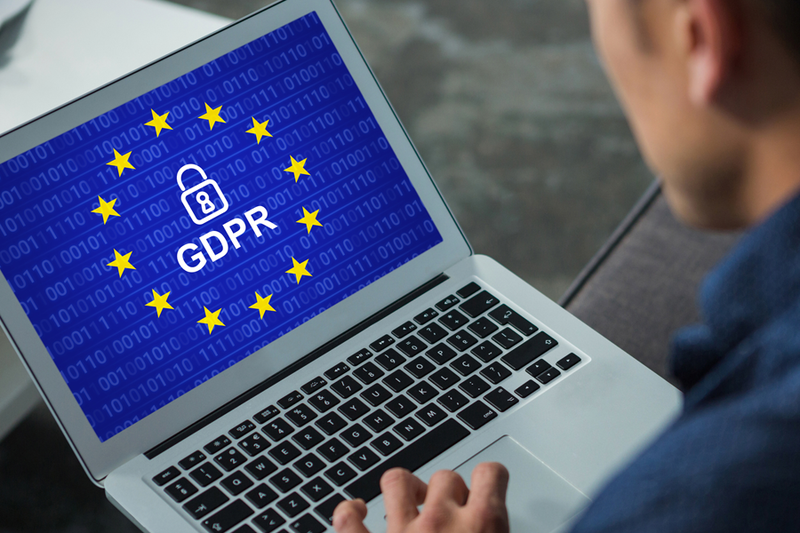 The best ones already have GDPR-compliant conditions within their standard terms of service, or will offer you a personalized data processing agreement on request. This is important, because the GDPR expects you to have a written agreement with anybody who acts as a Data Processor on your behalf — especially if it involves processing that takes place outside the EU. So choose your web host wisely. And be prepared to find a different provider if you don’t get the answers you need. Okay, this is a bit specific, but it might be the difference between compliance and non-compliance for some simple blogs. But, when set up correctly, GA cookies are likely to be seen as “non-privacy intrusive,” which means that you do not need to get prior specific consent to use them (which, believe me, would be a technical minefield). It’s important that you haven’t implemented the (optional) User ID functionality within GA. User ID allows you to identify a particular individual even if they view your blog from different devices. You should know if you’re using this functionality, because it’s not enabled by default, and you would have had to implement it manually. You should take advantage of the “anonymizeIP” function that GA provides, which has the effect of obscuring part of visitors’ IP addresses when the data is stored at Google. Note that this is switched OFF by default, but can be activated by adding a simple parameter to your GA tracking code (the exact code depends on which version of the Google Analytics code you’re using — analytics.js or gtag.js). If you’re using a plugin for analytics, you might find this option in the plugin settings. You should make sure that you never (intentionally or inadvertently) include personal data within page URLs that are sent to GA. Not only is this bad for GDPR, it’s also a breach of Google’s Terms of Service. Like it or not, the GDPR could affect you. Even if you’re not in the EU. While regulators are extremely unlikely to start handing out huge fines on Day 1, smart bloggers will see this as an opportunity get their data processes properly nailed down. Get on the front foot and you’ll have a better, deeper understanding of the value of the data that you hold, and the responsibility (and accountability) that you have for that information. And frankly, even if the GDPR doesn’t apply to you, it’s a strong indication of where data privacy is going — so why not embrace the principles anyway? It may seem a million miles away from why you pour your heart and soul into blogging. You blog to inform, to inspire, to share your passion. But you’re also responsible to your loyal followers for the information they entrust to you. So don’t lose sleep over it. Get ahead of it. Because when you do, your blog will be stronger than ever. Paul Long is a small business web designer, WordPress enthusiast and self-confessed data freak based in the UK. He currently spends his days helping folk to tread the fine line between GDPR denial and meltdown. For further actionable guidance, check out his free GDPR Action Plan for small businesses.